Daniel Ford: All the praise for Kamila Shamsie’s Home Fire is well deserved. It features some truly terrific writing. The opening chapter featuring Isma, one of the book’s main characters, being detained and aggressively questioned at a U.S. airport just might be the best prose I’ve read in 2017. Shamsie deftly alternates perspectives between Isma’s sister, a wayward, possibly radicalized brother, and a steely politician and his son. A modern take on Sophocles’ Antigone, Home Fire delivers one memorable scene after another, building to a pitch-perfect ending you won’t soon forget. Pick up this book as soon as humanly possible. Sean Tuohy: The Names of Dead Girls, the heart-pounding sequel to The New York Times best-selling novel The Silent Girls, is finally available on Sept. 12. Detective Frank Rath must deal with a ghost of his past when his adoptive daughter becomes the next target of a deadly killer. Rickstad's character peel off the page, and the landscape of Northern Vermont is breathtaking. Rickstad will keep you awake late into the night to finish this stellar sequel. 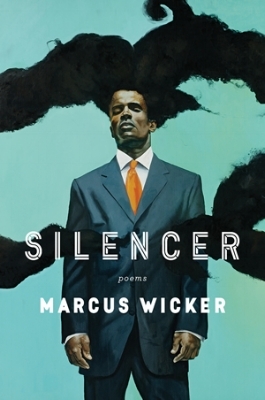 Daniel: Marcus Wicker’s new poetry collection Silencer quite possibly features the most searing and personal poems I’ve ever read. Inspired by the uncomfortable conversations he was having with his friends and neighbors about gun violence, Wicker touches on everything from police brutality and racial identity to neighborhood ties and academia. Silencer hums with Midwestern sensibilities and taboos, anger, faith (no matter how questioned or questionable), and language and humor so sharp you might need to apply a tourniquet when you’re done reading. This masterful collection, which also features the thumping cadence of a hip-hop tune, is not to be missed. Rachel Tyner: I found myself absorbed in Sid Sanford Lives! (out Sept. 18 from 50/50 Press) this past Labor Day weekend. I read in bed, on the beach, even sitting in a living room surrounded by seven people. This book features a series of short, funny, heart-wrenching, and relatable stories all based around the triumphs and tribulations of the main character, Sid Sanford. What I find so fascinating about Sid is that he lives in a gray area. How can a good person do such questionable things? He desires to be better man, but his demons always seem to rear their ugly heads. Through his experiences, Sid turns a corner and is able to find happiness and wisdom, sometimes in spite of himself. 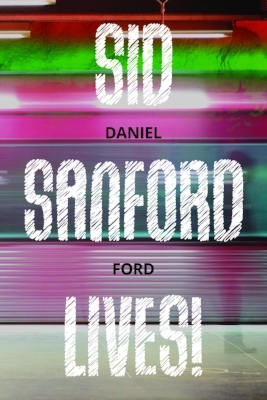 Ford’s passion for the written word and humor was poured into this debut novel, and Sid Sanford Lives! is so completely engrossing that you’ll find yourself compelled to wring out every page. Sean Tuohy: A covert mission in a far off land. The CIA and Army Special Forces team up to help bring the Vietnam War to an end. Sam Lightner Jr. tells the incredible tale of a secret mission in the hill lands of Vietnam. 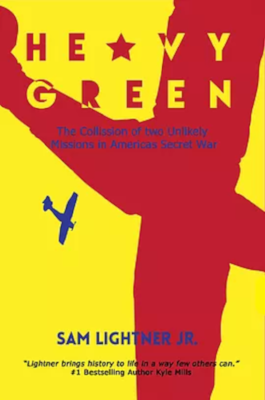 The author wastes no time, jumping into the meat of the story by explaining how a small group of volunteers went to work trying to stop the flow of troops through the Ho Chi Minh Trail. Find out more about the book, and Lightner's journey to bring this story to light, in the interview below. Daniel: During our recent podcast discussion, Tana French called her new main character Detective Antoinette Conway “a tough cookie.” That was a tremendous understatement. She doesn’t have much choice; she’s constantly under fire from her male counterparts both inside and outside the squad room. Judging by the job she does investigating what seems like an open and shut murder case at first, there’s no one else I’d rather have relentlessly digging for the truth. French is the master of atmosphere, but it’s her character work in The Trespasser that vaults her work into another weight class. This is crime fiction at its finest. Mike Nelson: Odds are pretty good that you evaluate baseball wrong. It’s not really your fault, so like, step off the ledge there, psycho. A single baseball game is an intricate story, and each event within a game can generate a massive amount of data. The data used by the media and mainstream analysts when evaluating a baseball player (or team) is the easy stuff—stats people have used for decades because they’re known commodities. Wins and Saves to tell you how “good” a pitcher is, RBI to tell you how “clutch” a hitter is, fielding percentage to tell you how “effective” a fielder is. Those numbers don’t tell you the full story, though, and there are much better metrics available today, which fans and analysts should adopt. Right now I’m the loser in the comments section yelling “first!” as I have been reading baseball books on this matter for over a decade now. 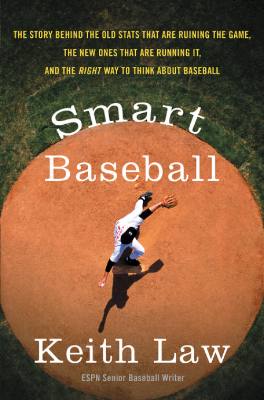 But if I could rewind to that first book I read on baseball stats and evaluation, I would swap it out for Keith Law’s Smart Baseball. Law is an ESPN analyst who used to work in major league front offices. He knows his stuff. He knows his stuff real good. His new book is a perfect explanation of why old statistics are insufficient, with an eye towards what fans should really be paying attention to. It is a must-read for baseball fans, serious or casual. 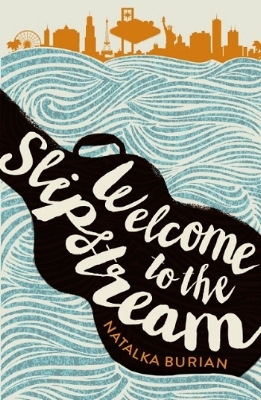 Caitlin Malcuit: Welcome to the Slipstream is Natalka Burian’s first foray into the world of novel writing, a young adult feature that delves into the pains of being a teenage vagabond with a flighty mother. Van, the music-loving protagonist, is used to traveling around the world with caregiver Ida for her mother Sofia’s work. Dropped into the glitz and high-octane Las Vegas scene when Sofia’s latest client brings them to the Silver Mustang Casino, Van struggles to fit in and hopes that this time, her mother’s bipolarism won’t rear its head. Seeking to break the humdrum cycle of room service and tutors, Van begins to carve a niche for herself when she joins an all-girl band. But her new life is upended when Sofia suddenly takes off to the deserts of Sedona, Arizona, abandoning her family and work. Van’s mission to find her mother tests the bonds of their relationship, and uncovers long-buried secrets. I talked to Natalka about Welcome to the Slipstream, as well as her activist endeavor The Freya Project. Check it out! Daniel: If you’re looking for a tender, passionate, and, at times, infuriating love story to counterbalance the daily news, you’ve come to the right place. Carolyn Porter found more than she bargained for when she discovered several beautifully written World War II letters by a Frenchman named Marcel in an antique store in Stillwater, Minn. Marcel’s swooping letters inspired Porter to start designing a font, but after having one of his letters translated, she dogged pursued the Frenchman’s story all the way to France. It’s evident on every page that Porter put her heart and soul into her research, and an equally passionate and tenacious support group aided her in uncovering all of Marcel’s secrets. This book is at special read, one that will make you laugh and cry in equal measure. Daniel: Admittedly, I’m way behind in praising Noah Hawley’s Edgar Award-winning novel Before the Fall. The premise is that a chartered flight from Martha’s Vineyard crashes, killing all but two people on board (a disillusioned painter and a young boy). 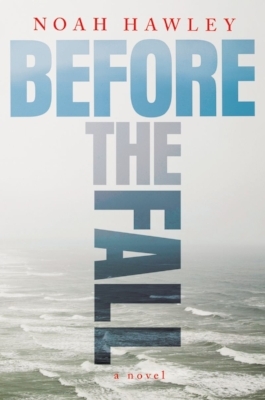 Hawley then dives into the backstories of the victims and the aftermath experienced by the survivors. The narrative delves into themes ranging from celebrity journalism and the perils of insane wealth to what truly bonds family and strangers together. I finished this book in two nights, frantically flipping pages on my Kindle Paperwhite and not allowing myself to be overcome by sleep. Daniel: The two essays that make up James Baldwin’s The Fire Next Time are just as shocking and relevant as they were when the book was published in 1963. Written to “celebrate” the centennial of the Emancipation Proclamation, these missives rage against America’s dark, and deep-seated, racism, and implores both white and black Americans to honestly confront the carnage this hateful legacy has wrought. In the wake of Charlottesville and a Presidential administration steeped in white nationalism, we need Baldwin’s words more than ever. New Yorker Cat looks back on her coming-of-age in Michigan, and her revelatory teenage friendship with the charismatic, troubled Marlena, whose life—and death—act as a traumatizing divider between Cat’s childhood and adulthood. I felt this book down in my bones. There is so much in this story, in its mix of ferocity and adrenaline and explosive discovery, that is the story of being woman, and it is written with such grace and intricacy. I didn’t want it to end. A disturbing and delightful story of an art school friendship. Paulina, in particular, is just despicably fascinating. I wanted to stay away from her, but could not stop reading about both her exploits and her moments of plummeting insecurity (when threatened, she produces a shred of baby blanket from her bra and runs it incessantly over her lips). Some really wonderful detours into female friendship, artistry, and curly hair, a topic on which there is a surprising dearth of material. Highly recommended. The story of Stephen Florida, Oregsburg College’s most formidable wrestler and one of the most pleasingly obsessive characters I’ve had the pleasure of following in a long time, has a weird, arresting beauty. Habash builds a complete world of the sport—its thrills, its pressures, its minutiae—against the perfectly icy backdrop of a North Dakota winter. Stephen’s voice is like no other—driven and unexpected, equal parts older than its years in its sense of purpose and endearingly youthful. So sharply written, I kept flagging my husband down so I could share passages with him. It’s a total joy to read. I can’t remember the last time I read the story of a troubled relationship with such close, pained delight. Stacey, a poet and recent widow, gets a phone call that changes her life. Hollywood actor Tommy DeMarco wants to adapt her feminist take on Frankenstein into a screenplay. The two meet, are instantly attracted to one another, and embark upon an ill-advised relationship in which they proceed to wreck each other’s lives. Stacy is a much-needed departure from the female heroines of most relationship narratives—her personality, desires, and internal conflicts are hers alone, not elements totally at the mercy of the romance. She is textured and real, brimming with impulses good and bad, and the fact that she has as much a hand in lending this story its dysfunction as Tommy makes her raw and compelling. 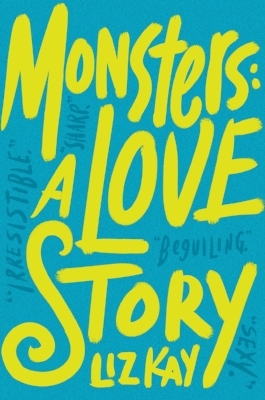 This is one of those can’t-eat-can’t-sleep-can’t-talk-until-I-finish-it books, and I loved it. Listen to Dave Pezza and Sean Tuohy's discussion about Ian Fleming’s Casino Royale.